Maison Louis Latour – is a family company that spans every part of Burgundy, having an intriguing collection of wines. And an age-old establishment story. 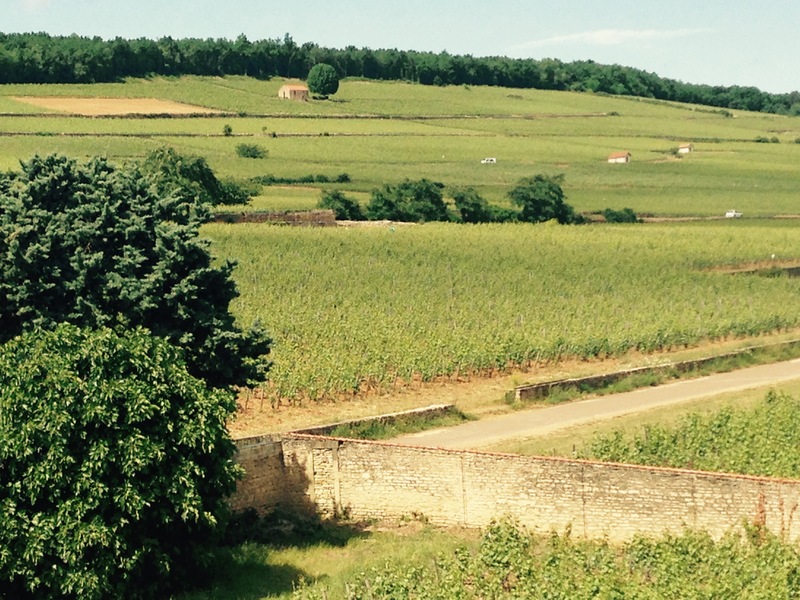 Denis Latour had his first vineyard by 1731, and later Corton Grancey, where Uncorked wine tourists visit, by 1749. Chateau Grancey was the first purpose-built winery in France; established in 1831. After the French revolution Jean Latour purchased prime vineyards from a cash-strapped government, confiscated from previous church and noble ownership. 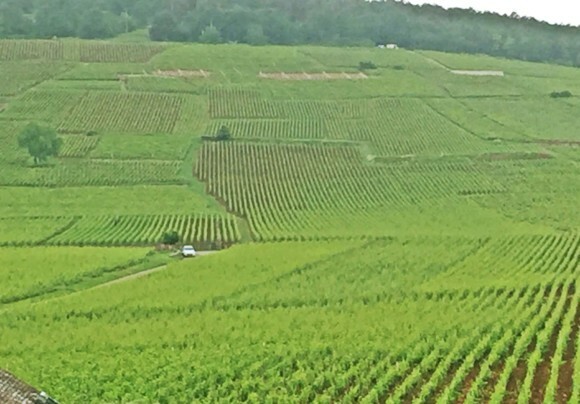 Our France wine tours take guests through the regions of Burgundy; the Cote de Nuits, the Cote de Beaune, Cote Chalonnaise and Macon; offering introduction-only visits to caves, only some open to the public. If you’d like to find out more about this exclusive guided experience for lovers of wine and food, you can call Denise on +61 427 705 391 or email denisew@uncorkedandcultivated.com.au. Latour, having owned the vineyard around it, bought the chateau (with winery) in 1891. 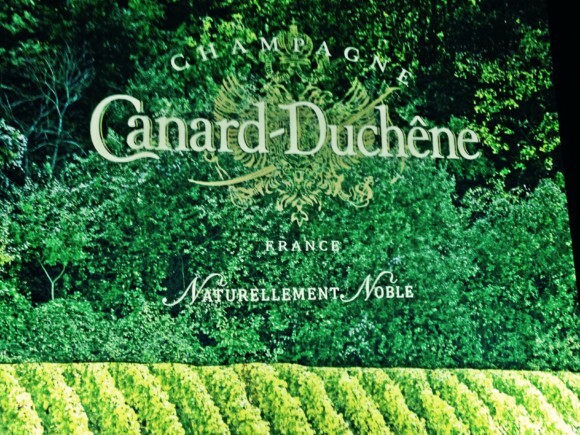 Formal establishment of today’s family brand which buys, trades and makes wine, accumulating 48 prime hectares of vineyards, happened in 1797. Seven generations of Latour’s (three have been called Louis), and hence the survival of the name, steered the firm to make great white wines. The vineyards of Corton (main photo) have been Latour’s most famous. And after the phylloxera vine ravage of the Corton-Charlemagne in the 1870s for 30 years, the Latours took the odd step of replanting the common aligote variety and pinot noir, with chardonnay. This appellation produces some of the greatest chardonnays in all Burgundy. I really like them. Part of the success of Corton-Charlemagne from this maker is their differing approach to barrels. Since 1898, Latour has made its own barriques (2500 of 228 litres). They have a tonnellerie. Even more remarkable is that just one type of barrel is made; medium toast firing of a secret oak supplied from a blend of forests. Where used new, this oak is applied to high-end chardonnay and pinot regardless of appellation. The barrel taste effects are constant at Latour. One size fits all grand cru and premier cru vineyard lots. Moxon Oak imports and sells hundreds of these barrels to Australian winemakers. And now local winemaking technocrats may buy Latour wines made with the same oak they and Louis Latour use; currently the 2015 vintage is available. Here is a Louis Latour Corton-Charlemagne 2015 (AUD 280) just starting its taste journey; oak shows but subtle over the lemon curd aromas of the fruit; palate now austere from oak dryness but great fruit length and grip. Great chardonnay has grip. Uncorked tour guests tasted Louis Latour Corton-Charlemagne 2014 at Corton Grancey winery in 2016; far more restrained yet oak is aniseed-like, the fruit is more shy from the vintage conditions, and flavour not as broad or orange-creme as a riper year. This is Louis latour Corton-Charlemagne 2008 tasted underground at Corton Grancey winery in 2015; emerald green, hints of gold, no oak on nose, fungal, marmalade fruit aroma, palate powerful, filling every taste bud in the mouth, complete, rounded, acid still linear, coiled in concentration. This is Louis Latour Corton-Charlemagne 2005 drunk in Brisbane in 2009; pale green, not much colour actually, nose of limes and nuts, crunchy, sweetened fruit and oak impact; drying but rich marmalade in the mid palate, long flavour, tingling acid with creaminess, wine starting to open up; maturation span 25 + years. Samples, tastings and purchases of Louis Latour 2015 chardonnays are available from NextGen Wine Merchants. For more information and price list please email info@nextgenlm.com.au. Joseph Drouhin is a historic Burgundy name. 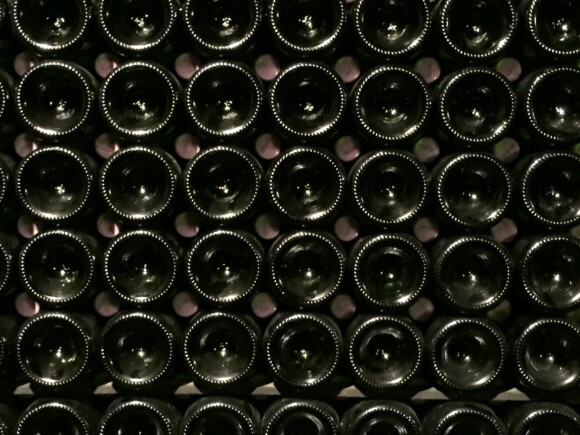 So a cavernous walk a few metres under the city of Beaune to view their bottle collection history is a wondrous site. There are cobwebs, dark corners, dusty old bottles, medieval height entrances (you must crouch to pass) and shining new wine pieces (barrels) to contrast this display place of wine storage, bought in 1880. And there is no better watering hole in Beaune than here to complete a visit by drinking from Drouhin burgundy bottles carefully selected from all over the appellations (small vineyards) this negociant (trader) either occupies or purchases. Our France wine tours take guests through the villages of Burgundy; into Beaune, Pugliny-Montrachet and Nuits-Saint-Georges, offering introduction-only visits to caves, only some open to the public. If you’d like to find out more about this exclusive guided experience for lovers of wine and food, you can call me direct on +61 427 705 391 or email denisew@uncorkedandcultivated.com.au. Our tasting guide describes the cleverly placed, mood-lit surrounds: built in the 14th century, one level below the town established by the King of France at that time, then we step into another section built in 1450. Wish the wine was that old. The view at the chamber end gives the herringbone style of 4th Century Roman brickwork which is the base of this cavern. Perfect for the bottle museum (all sizes; 375 ml, normal, magnum to jeroboam) with its uneven stone flooring, always cool or cold. The modern day Drouhin family has set about retaining their drinking heritage, though the interruption by WW2 has caused many gaps. The oldest date on a bottle is 1911, then the rest are post 1961, and as time passed, as much as 5% is retained for tasting, drinking, exhibiting, auctioning and donating. All are unlabelled save the chalked identification on each bin patch-very much a burgundian habit this. If there are spare labels or new ones produced they will be in the label storage section, more pristine a place than in this dusty series of caverns. We were offered brilliant new papyrus paper style labelled wines such as Joseph Drouhin Chorey-Les-Beaune 2012, a village wine from north of the town, known to be terribly drinkable as oh so supple for entry pinot noir. This had that level of deliciousness. Thank you pinot. A significant drink for sharing is Joseph Drouhin Beaune Clos des Mouches 1er 1996; a vineyard of both chardonnay and pinot noir purchased in the 1920s and now held up to be part of the soul of the company. The pinot is most expressive, dense and rapturing to see and smell, then succulent, alluring and mouthfilling, a touch of age but pinot with backbone. The vineyard was once circled by bee hives (mouches). From the northern Cote de Nuits poured was Joseph Drouhin Nuits-Saint-Georges 1er Damodes 2008; this now perfumed from bottle time, oozing red fruits yet contrite on taste; both black and red fruits, supple, rounded, expressive. 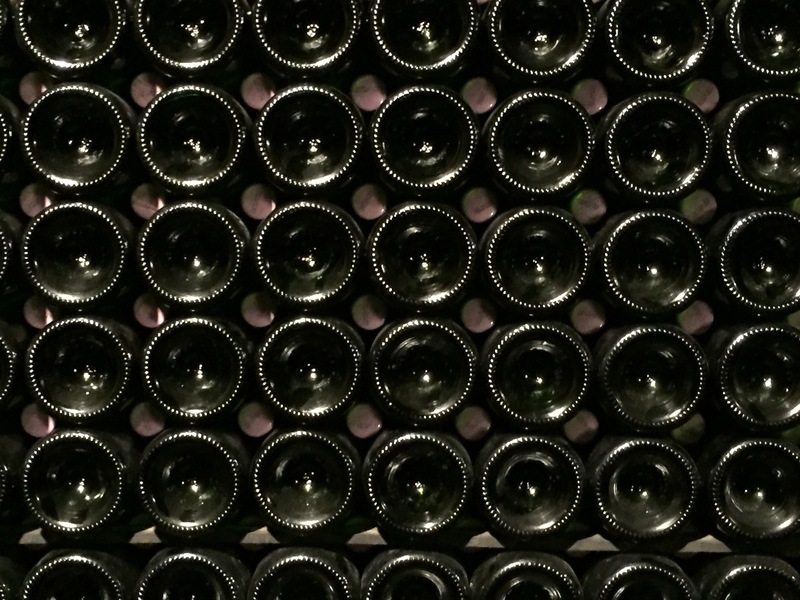 The cellars of Joseph Drouhin once had uses apart from maturing wine. At the end of WW2, Maurice Drouhin escaped the Gestapo underground via a “door to freedom” to a corridor into the Hospices de Beaune hospital, hidden there over four months until war’s end.